Braiding together strands of literary, phenomenological and art historical reflection, Modernism and Phenomenology explores the ways in which modernist writers and artists return us to wonder before the world. 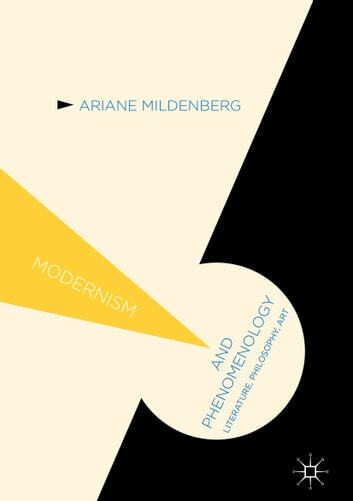 Taking such wonder as the motive for phenomenology itself, and challenging extant views of modernism that uphold a mind-world opposition rooted in Cartesian thought, the book considers the work of modernists who, far from presenting perfect, finished models for life and the self, embrace raw and semi-chaotic experience. Close readings of works by Paul Cézanne, Gertrude Stein, Franz Kafka, Gerard Manley Hopkins, Wallace Stevens, Paul Klee, and Virginia Woolf explore how modernist texts and artworks display a deep-rooted openness to the world that turns us into "perpetual beginners." Pushing back against ideas of modernism as fragmentation or groundlessness, Mildenberg argues that this openness is less a sign of powerlessness and deferred meaning than of the very provisionality of experience.